If you only use apps on your phone or tablet for email and social media you’re missing out on a world of possibilities, saving you time, money, while delivering more fun! 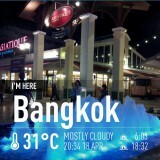 Take a look at the most helpful, useful and entertaining travel apps for Apple iOS and Android gadgets. Click to browse reviews of the best travel apps. 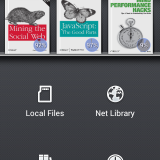 For those of us who read ePub format or DRM–free books, the best reader I've come across for Android is Moon Reader. Click the image to read our review. Research, price compare, manage your eBay store, and of course, buy stuff at the lowest prices with these great shopping apps. 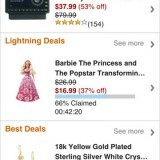 Click the image to see what you've been missing in the world of shopping apps. For most of us, getting in shape requires all the help we can get. In today’s day and age of mobile devices and 24/7 online connectivity, we now have a new breed of fitness tools not available to us just a few years ago. Click the image to see some of the top fitness and dieting apps. Thanks to smartphones and tablets, your office can literally be anywhere you like, an exotic beach, a private ski lodge, or at your favorite local coffee shop. Today’s phones have more computer processing power than the average desktop computer did five years ago and the right apps allow you to be just as productive away from the traditional office. Click the image to check out some great productivity apps. Tasker: what does it do? The question is more like what can’t it do! 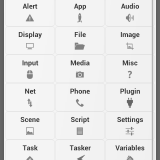 Click the image to learn what you can do with Tasker. 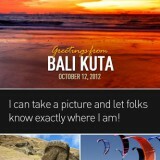 This is an amazing award-winning trip documentation app for vacationers and explorers. 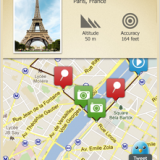 Click the image to read our review of one of the most useful travel apps. We recommend this app not necessarily for buying things on Amazon, which the app is fine for, but to point out two better features: price comparing and tracking shipments. Click the image to read the rest of our review. Though sharing photos with friends and family as you travel is easy, it’s not always convenient to stop what you’re doing to type out a new update for Facebook or write an email. Click the image to read the review of one of our favorite apps.